How Much Time Do You Have To Volunteer? No matter what your time constraints are, there is a Global Service Corps program for you. If you have limited time or have never traveled to a developing country and just want to ‘get your feet wet,’ our introductory service-learning programs would be ideal. There are three program options available for two- to three-week volunteers in the fields of Child and Orphan Care and Buddhist Immersion-Meditation or Buddhist Immersion-Contemplative. 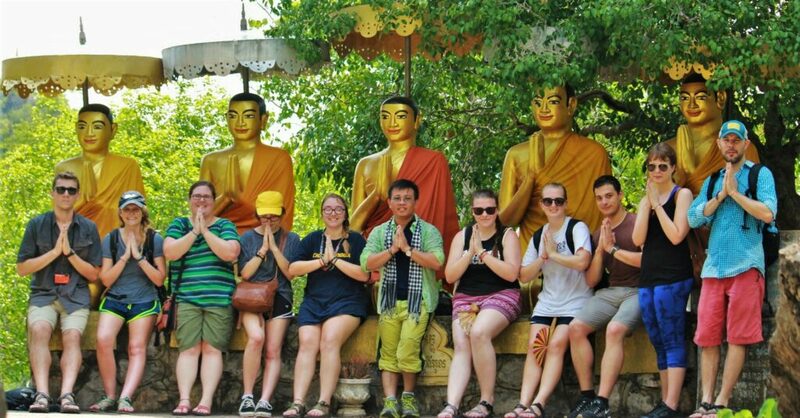 If you have four weeks or more to devote to a service-learning program, you can participate in one of GSC’s standard service-learning programs in the fields of Buddhist Immersion, Child and Orphan Care, Teach English Abroad, Community Development & Youth Leadership Training, andGlobal Public Health . Our shorter term programs mentioned above can also be extended to be a four, or more, week program. Also, as you plan your program length consider the availability of a weekend excursion to Siem Reap and Angkor Wat, a rural village weekend visit, and participation in community training workshops (for programs four weeks or longer, see Weekend Tours and Activities). For those looking for a more in-depth service-learning experience, GSC offers 9-week to six-month long-term programs in all areas that GSC operates. These longer programs are made especially attractive with reduced fees after the first three months. All of our programs can also be combined into an Integrated program. Contact GSC for more details and find the program that will best suit your interests and availability.